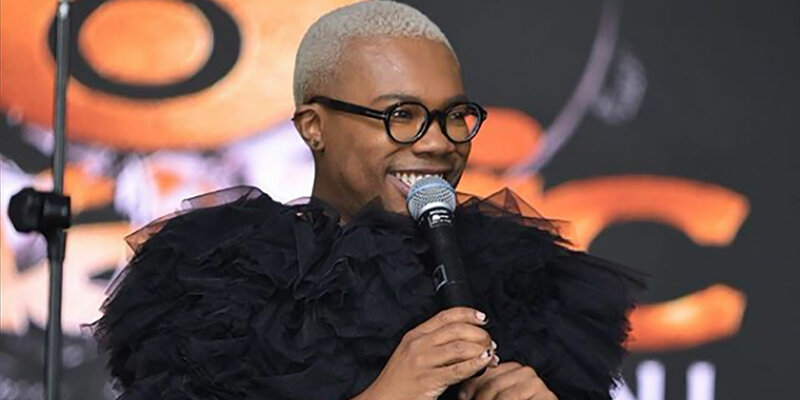 Activist, philanthropist and entrepreneur Thami Kotlolo used his star-studded birthday celebration to announce plans to launch a much-needed LGBTIQ+ shelter in Johannesburg. Kotlolo, who is the founder of the Thami Dish Foundation and co-founder of the Feather Awards, celebrated his 34th birthday on Monday at the Wanderers club. He was accompanied by his family and celebrity friends like Somizi Mhlongo and Amstel. The eight-course Magic 8 Ball dinner featured performances by the likes of the Mzanzi Gay Choir and Zoe Modiga, but it was much more than just a lavish party. Kotlolo revealed to his surprised guests that his next project will be the Thingolezwe Haven, a shelter for LGBTIQ+ youth in need in Gauteng. “I’ve been thinking about this for the longest time so I decided to buy a house and to donate it to the Thami Dish Foundation as a safe haven,” he said to loud applause. Kotlolo asked those in attendance to kick-start the initiative by donating towards the shelter and to contribute to a silent auction to raise funds. It’s understood that the Thingolezwe Haven will be formally launched later in the year, during Gauteng’s Pride season, and will provide emergency accommodation and psychosocial services to vulnerable and abused LGBTQ+ people. The Pride Shelter Trust in Cape Town is currently the only formal shelter that provides dedicated services to LGBTQ+ individuals in South Africa. It is supported by the City of Cape Town but is primarily funded through donations and community fundraising. Kotlolo said he hopes that Monday’s celebration will be the first of in a series of annual fundraising events for the Thingolezwe Haven. In addition to the Feather Awards and its Dialogues, where LGBTIQ+ issues are discussed in diverse communities around South Africa, Kotlolo and his foundation also hosted the first Global LGBTIQ+ Network Conference last year.